Get Bid Sheet How to Buy? "I love my Profession of Money more than Money. That hadn’t been done before." Dr. Dilip Rajgor is the first Ph. D. in Numismatics from the University of Bombay (1995), who earned his Doctorate directly from B. Com., without the mandatory degree of Masters in Arts. Later he earned his Master’s Degree in Archaeology & Ancient Indian History from the M.S. University of Baroda, topping it First Class First with Distinction (1997); and simultaneously he also topped the Post Graduate Diploma in Linguistics from the M.S. University (1997). Dilip also cleared the much-coveted NET – National Eligibility Test, of the University Grants Commission in the first attempt (2000). 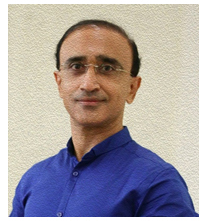 A trained Indologist, Dilip has been serving Indology since 1987 in various capacities like a Research Scholar, Professor, Director, Consultant, Publisher, Portfolio Manager, and an Auctioneer. He has the credit of having written 24 books and 75+ research articles on coins, history, linguistics, and allied subjects. He is also the only person who has the distinction of being Founder Cataloguer of as many as 4 numismatic auction houses in India, as well as editing of 150+ auction catalogues since 1989 comprising of numismatics, arts, jewellery and collectibles. He has also edited 41 issues of ICS Newsletter (1990-2008). Since 2009, he has also edited 100+ Issues of Gullak (a Monthly Newspaper for Coins, Medals, Paper Money, Collectibles, Antiquities, Decorative Arts and Hobby). He has also been a Principal Researcher for a documentary film (2004). Among a number of honors and awards, Dr. Rajgor is the recipient of the prestigious Silver Medal of the Indian Coin Society, Nagpur (2017); Prof. A.S. Altekar Bronze Medal of the Numismatic Society of India, Varanasi (2009); Prof. H.D. Sankalia Young Archaeologist Award, of the Indian Society for Prehistoric and Quaternary Studies, Deccan College, Pune (1997); Lakshman Singh Gaud Mudra Award of the Indore Coin Society (2016); Hon. Life Member, the Mumbai Coin Society (2010); Lifetime Achievement Awards of Ujjain Coin Society (2016); Kota Philately & Numismatic Society (2016), Delhi Coin Society (2013); and Outstanding Achievement Award, of the Numismatic Society of Calcutta (2007). Among the important Positions held, Dr. Rajgor is the Founder Director of University of Mumbai Dinesh Mody Numismatic Museum (2005-15) and Dinesh Mody Institute for Numismatics and Archaeology (2006-15), and was instrumental in launching India's first Master's degree in Numismatics (2007). He was Regional Secretary for South Asia, the Oriental Numismatic Society, United Kingdom (2006-14). Standard Guide to Coin Sets of India, Reesha Books International, Mumbai, 2011 (jointly with Ravi Shankar Sharma & Manish Agarwal). ISBN: 978-81-89752-10-3. Standard Guide to Indian Paper Money 1947-2010, Reesha Books International, Mumbai (jointly with Kishore Jhunjhunwalla, et. al), 2nd edition, April 2011. ISBN: ISBN: 81-89752-12-X. Standard Guide to Indian Paper Money, Vol. I: Banknotes & Bundles of Re. 1, Rs. 2 and Rs. 5 since 1947, Reesha Books International, Mumbai, 1st edition, January 2011. ISBN: 81- 89752-11-1. Standard Guide to Coin Postcards, Reesha Books International, Mumbai, 2011. ISBN: 81-89752-09-X. Numismatic Directory of India, Reesha Books International, Mumbai, 2004. ISBN: 81-901812-6-2. Price Guide to Postcards of Poona, Reesha Books International, Mumbai, 2004. ISBN: 81-901812-4-6. Collector’s Guide to Mughal Coins, Dinesh Mody Numismatic Museum, University of Mumbai, January 2002. 1st Reprint 2008, 2nd Reprint 2010, 3rd Reprint 2013, and 4th Reprint 2017. Punch-Marked Coins of Early Historic India, Reesha Books International, California, 2001. 1st Reprint 2008, 2nd Reprint 2017, Mumbai. ISBN: 81-901812-2-X. Palaeolinguistic Profile of Brahmi Script, Pratibha Prakashan, Delhi, 2000. ISBN: 81-7702-023-4. History of the Traikutakas - Based on Coins and Inscriptions, Harman Publishing House, New Delhi, 1998. ISBN: 81-86622-5. Studies in the Coinage of the Western Kshatrapas, Indian Institute of Research in Numismatic Studies, Nasik, 1994. (Jointly with Mr. Amiteshwar Jha). Standard Catalogue of Sultanate Coins of India, Amrapali Publications, Mumbai 1991. 1st Reprint 2008, 2nd Reprint 2017. ISBN: 81-89752-04-9. Bharatiya Sikkaoni Jhankhi, Parichaya Trust, Mumbai 1990 (Gujarati). Mudra-Vijnan, 2007, Dinesh Mody Numismatic Museum, University of Mumbai, Mumbai, 2007. The Indic Scripts: Palaeographic and Linguistic Perspectives, edited by P.G. Patel, Pramod Pandey and Dilip Rajgor, D. K. Print World, New Delhi, 2007. ISBN: 81-81-246-0406-1. Ancient Asia, Vol. 1, edited by Vasant Shinde, K K Bhan, Shweta Sinha-Deshpande, Dilip Rajgor & Sanjay Deshpande; Society of South Asian Archaeology, Pune & Reesha Books International, Mumbai 2006. ISBN: 81-89752-01-4. Ujjayini Coins, by Narendra Kothari, Edited by Dilip Rajgor. Reesha Books International, Mumbai, 2006. ISBN: 81-901812-8-9. Coins of Jahangir, by Ashok Singh Thakur, Edited by Dilip Rajgor. Indian Coin Society, Nagpur, 2006. ISBN: 81-901812-9-7. Maratha Coins of Pune Region, by Ganesh Nene, Edited by Dilip Rajgor. Reesha Books International, Mumbai, 2005. Collector’s Guide to Indian Canteen Tokens, by Praful Thakkar, Edited by Dilip Rajgor. Thakkar Numismatic and Art Foundation, USA, 2004. Indian Coin Society Newsletter (Founder Editor), Nos. 1 to 46, Indian Coin Society, Nagpur; from 1990 to Dec 2008 (41 Issues). Gullak (Monthly Newspaper for Coins, Medals, Paper Money, Collectibles, Antiquities, Decorative Arts and Hobby). Since 2009 (100+ Issues). More than 150 Numismatic & Antiquities Auction Catalogues of Rajgor’s Auctions, Todywalla Auctions, Oswal Auctions and Classical Numismatic Gallery Auctions; compiled and edited since 1989. Felicitas: Essays in Numismatics, Epigraphy and History in Honour of Joe Cribb, edited by Shailendra Bhandare & Sanjay Garg. Reesha Books International, Mumbai 2011. ISBN: 81-89752-08-1. 75+ research articles in Indian and International journals, since 1987. Seminar on Gupta Coinage, the Oriental Numismatic Society (U.K.), New Delhi, March 2013.
International Seminar on Gupta Archaeology, Numismatics, Epigraphy and Literature, Indian Coin Society; Nagpur, January 2016.